Dr. Mady’s first dental degree was a Bachelor of Dental Medicine and Surgery (BDS) in 1999 from Alexandria, Egypt. Various clinical rotations followed, and he went on to practice all aspects of dentistry for remote and underserved populations. He then earned his Doctor of Dental Surgery (DDS) in 2006 from the University of Illinois at Chicago as part of an International Dentist Program with emphasis on Cosmetic and Prosthetic Rehabilitation. Dr. Mady has had advanced dental training in numerous aspects of dentistry including Orthodontics and Dental Implants. He has maintained an average of 100+ advanced dental continuing education seminars and courses each year while in private practice. 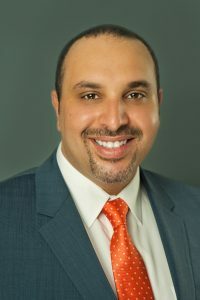 He is a graduate of numerous advanced dental institutes including The Dawson Academy, United States Dental Institute and Georgia Regents University/Maxi Implant course of the American Academy of Implant Dentistry.